According to court documents, Nicholas Forte brought his son along as he and two friends fired a glock 9mm handgun at a saguaro and smoked marijuana. PHOENIX — Police say a man is facing child endangerment charges after he brought his 1-year-old son along to shoot a saguaro cactus at Piestewa Peak Monday evening. According to court documents, Nicholas Forte invited two friends to fire a glock 9mm handgun at a cactus on the Hopi trail head Monday evening. Forte had his 1-year-old son with him because he said his wife needed a break from the child. 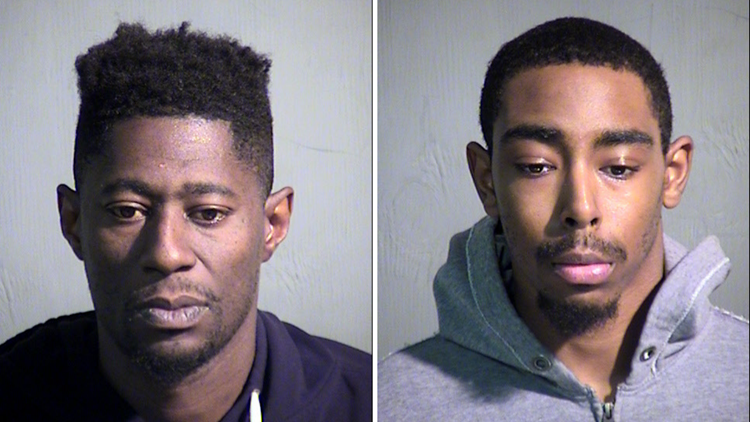 Forte and his two friends, Kyonne Hodge and Aaron Bradford, told police they took turns watching the child under a ramada as they smoked marijuana and fired the gun at the cactus, court documents say. Forte said he shot at the cactus seven to 12 times. Police responded to the park when residents in the area started to report they heard shots fired. According to the court documents, the officer who arrived on scene could hear the gunshots as he was approaching. The court documents also reveal that police found the gun under the baby in a car seat. Forte told police that when they finished shooting he was holding his son when one of his friends handed him the gun, so he set it in the car seat because his hands were full and then sat the child down in the seat. Police seized 37 casings, the gun and marijuana. All three men were arrested and booked on various charges. After he was arrested, Forte told police that he thought it was OK to shoot his gun at the park. Kyronne Hodge, L, and Aaron Bradford, R, were arrested along with Nicholas Forte.